The Regional Anesthesiology Fellowship Program is affiliated with the Department of Anesthesiology at the University of North Carolina School of Medicine and UNC Hospitals. The fellowship program is centered at the Main UNC Hospital, and supported by the UNC Ambulatory Care Center and UNC Hillsborough campus. We currently accept two fellows per year into the program. We have a large group of experienced and dedicated faculty, with expertise in all areas of regional anesthesia and acute pain management. We provide care to over 4,000 patients per year in a very collegial and supportive environment, performing a wide variety of peripheral nerve blocks for surgical anesthesia and postoperative pain control. 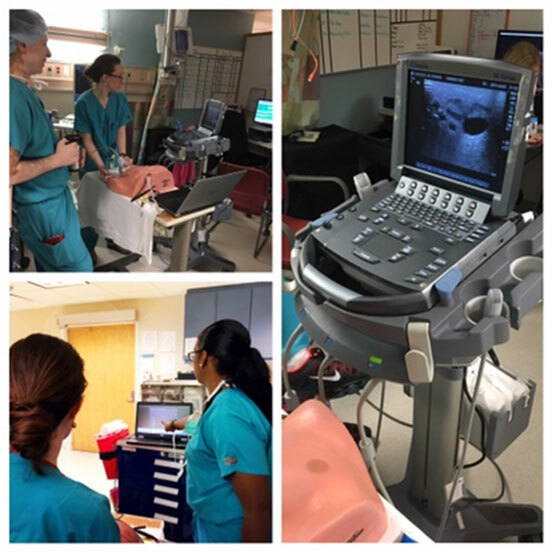 Our fellows will become adept at placing peripheral nerve block catheters and skilled in the use of ultrasound for regional procedures. We have excellent didactic programs and mentors to assist with research and other academic pursuits. Regional fellows will also progress in their ability to manage the postoperative phase of regional anesthesia and its impact on acute pain management through daily rounds with a dedicated acute pain team.